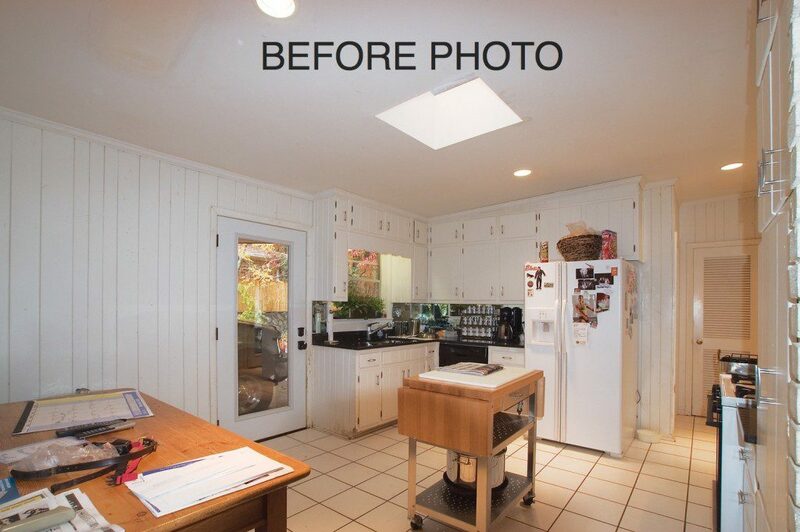 This kitchen was small, inefficient and incredibly outdated. 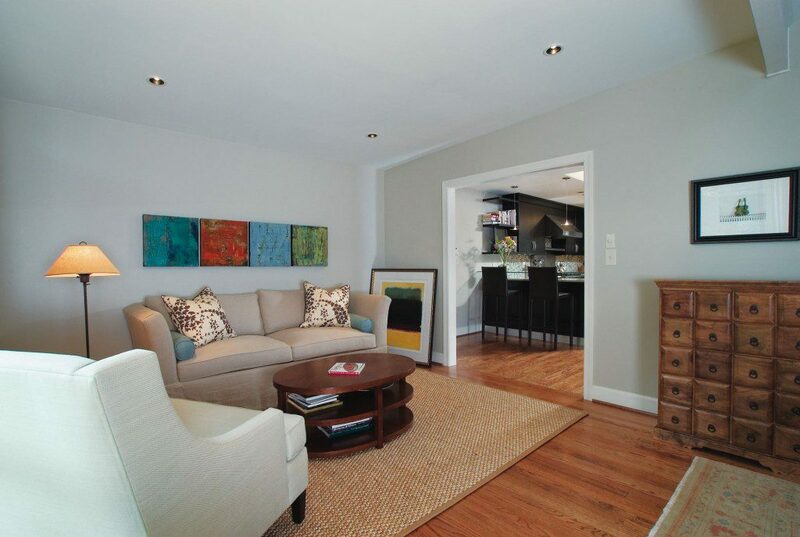 The home is mid-century style, so the first objective was to have the interior flow with the overall theme. 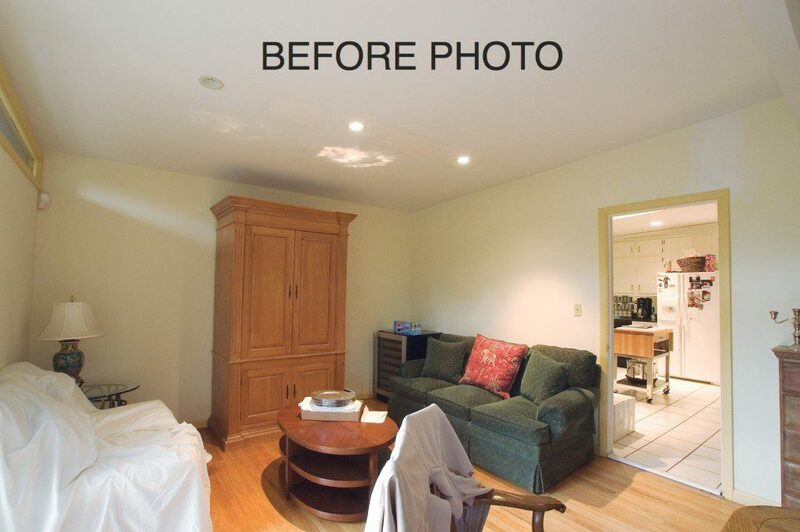 Due to lack of options of the small space with numerous doorways, the walls to the laundry room were removed and the washer and dryer were relocated to another area of the home. The sink was relocated to the larger existing window on the rear side of the house (old laundry area), and the old sink window was closed to offer additional storage and a location for the new professional range. To achieve the contemporary look, clean elements were used throughout. 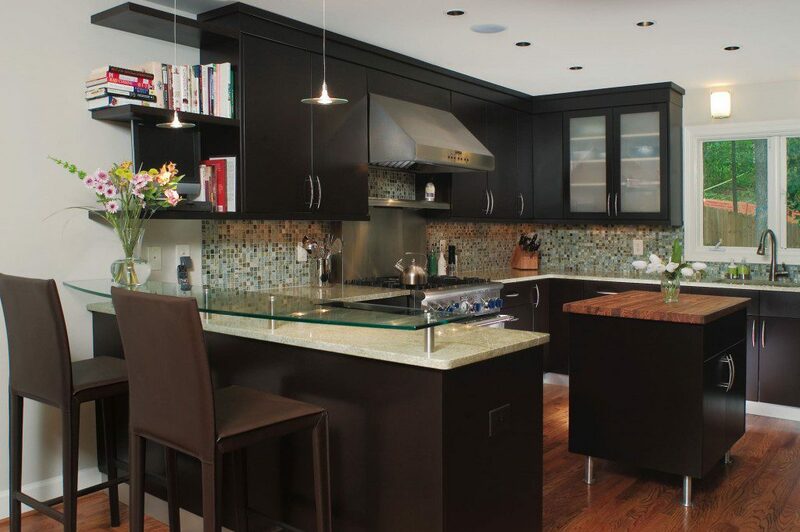 The dark, flat panel maple cabinetry set the stage to display the sophisticated glass tile backsplash, frosted glass cabinet doors and glass counter top; all of which carry warm hues of green. Polishing off the contemporary theme, stainless steel appliances, toe kick, island legs and stand offs for the glass counter top were chosen. 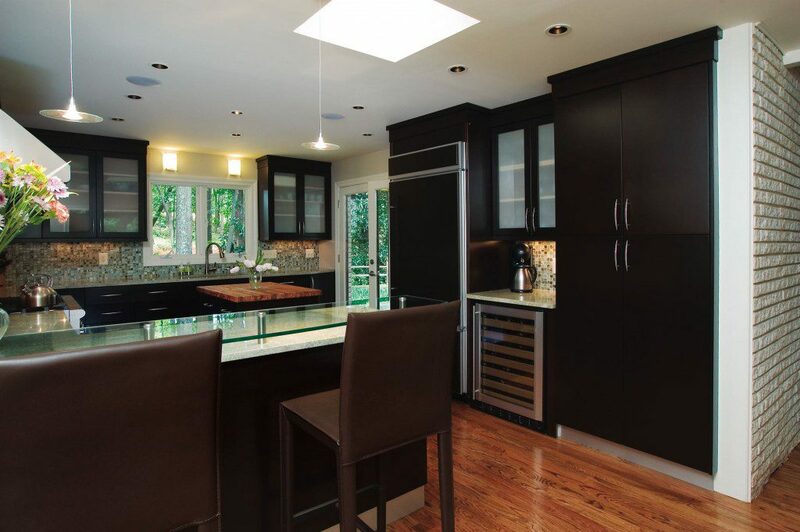 Zenon under-cabinet lighting, recessed cans, and sleek halogen pendants and sconces were strategically placed to enhance the elegant features, in addition to provide high quality task lighting. Furthermore, to improve the natural light source, the existing single door to the patio was increased to a double French door. 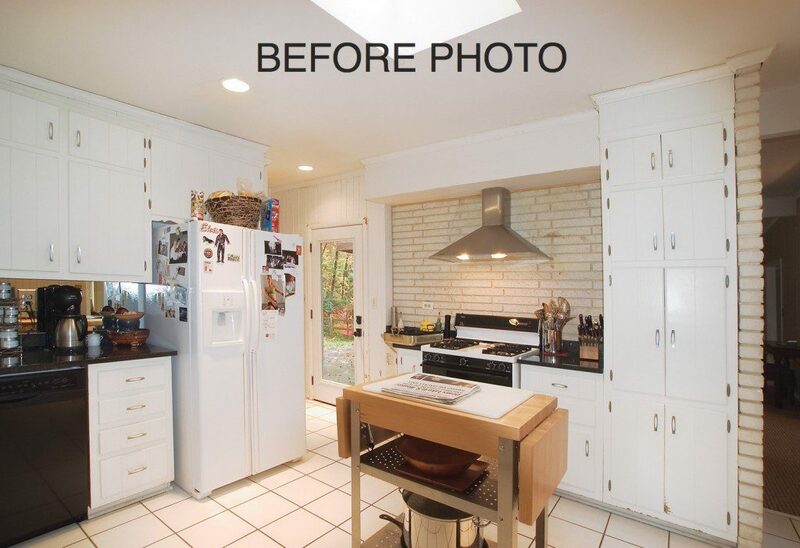 To add a touch of warmth, hardwood floors replaced the old tile. 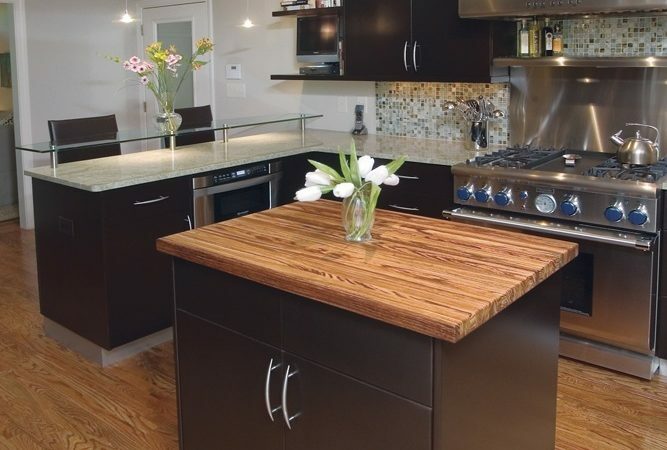 And finally, the island received an exotic Zebrawood counter top creating a focal point to the simplistic design. 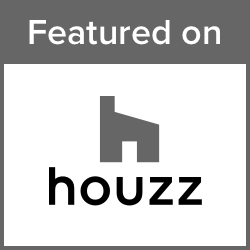 In the end, the clients received a well balanced, surreal theme including state-of-the-art products that added value and charm to their old mid-century style home.